As framing specialists we want you to be fully informed of your many options. Below is a list of common questions when exploring the options of picture framing. If your question is not answered here, please feel free to contact us, or stop by our store to discuss your concern with one of our designers. Custom Framing is the art of creating a design specifically for your piece. Each frame, mat and other treatments is selected and crafted to your style and the unique proportions of your art. We have the largest selection of in-stock framing material on Maui as well as solid custom Koa frame moulding milled to our specifications. A frame provides a solid, environment in which artwork will remain safe from physical damage. 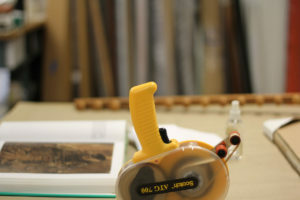 With the use of proper materials and techniques, framing can provide a stable environment to help preserve artwork and valuable items while allowing it to be viewed and enjoyed. Properly designed framing can focus attention on artwork and enhance its enjoyment. I don’t know what look I want. Will you help me create a design? Yes, our expert designers will work closely with you to make your art beautiful and appropriate for your décor. Because there are thousands of framing combinations available, it’s not easy to answer this question. We recommend you bring in art or object you wish to frame and we will help you find the right combination of materials to suit your budget. We have a wide variety of materials that range from perfectly simple, to extravagant. We also have a selection of ready made, standard size, frames that are budget friendly. Do you do all the work on Maui? Yes, we do all the work in-house at our shop in Kahului. Your artwork and precious objects never leave the shop until they are ready for pick up. Do you also frame small pictures and photographs? We’ve framed postage stamps, 40″ x 60″ prints, and everything in between. We also have an extensive selection of ready made frames and mats that might fit your needs. Do you repair damaged or broken frames? The most common type of frame damage we encounter is dropped frames – when a frame accidentally falls off the wall and lands on a hard surface causing the glass to break and the frame corners to pop open. Glass is easily replaced, and usually the corners can be rejoined depending on the extent of the damage. We recommend brining in the frame for a final assessment. Do you frame three dimensional objects? Yes, we have framed almost anything you can think of. Please stop by our shop so our expert framers can show you what can be done. Yes. All our employees are also artists! Take a look at our online gallery. What about the harsh conditions in Hawaii? Unfortunately the tropics is not the most ideal location to display artwork and valuable items. High heat, humidity, and the high uv index in the islands makes it difficult to protect items, however we have several framing materials and techniques that aid in helping to prevent damage from the elements such and UV protective glass and moisture blockers. How long does custom framing take? Our turnaround time is about two to three weeks. But if you need it sooner, rapid turn-around is available for an additional fee. Will you call when my piece is ready? Yes. We will call you as soon as it ready for you to pick up. We leave a message at the number you provide us if there is no answer. If you prefer email, please let our staff know upon drop off. Unfortunately our staff is too small to take on these tasks. However we do recommend Tim Tattersall for installations, and Cody Barlow for delivery and packing/shipping. Do you ship framed art? Unfortunately we do not offer packing or shipping services. Please contact Cody Barlow at C&C Fine Art Handlers. Cody spent many years working with the Dolphin Galleries shipping team and is well versed in packing and shipping all shapes and sizes of art.